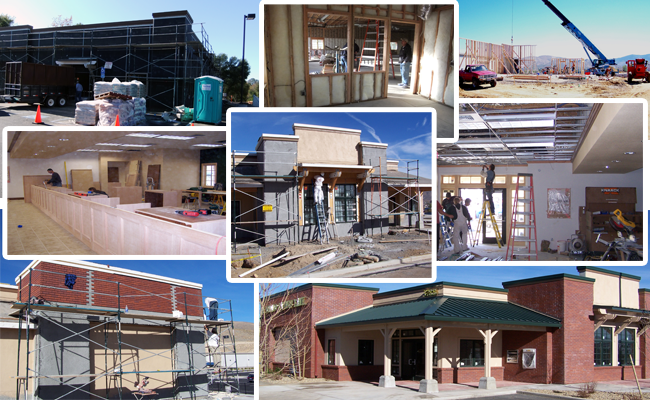 Commercial General Contractor | Howebuilt - Howe Construction, Inc.
We have been a commercial general contractor in the Reno, Lake Tahoe, Incline Village, Carson City, Minden, & Dayton areas of Northern Nevada and Northern California since 1969. We have built all types of commercial construction projects from apartment complexes to banks, churches, condo complexes, and retail spaces. Over the years we have built great relationships with quality sub-contractors, suppliers, and designers and these solid relationships directly affect the quality product our clients seek and demand. We are an open, straight forward, honest company that gets the job done on budget and on time. We take pride in our approach of working with our clients and the outstanding reputation we have earned over the years.